Ham radio is not just a hobby. In the event of a disaster (remember earthquakes?) it will be the only means of communication. This is a free class but you will need to buy the book. If you want to operate from home, you will need to purchase radio equipment. 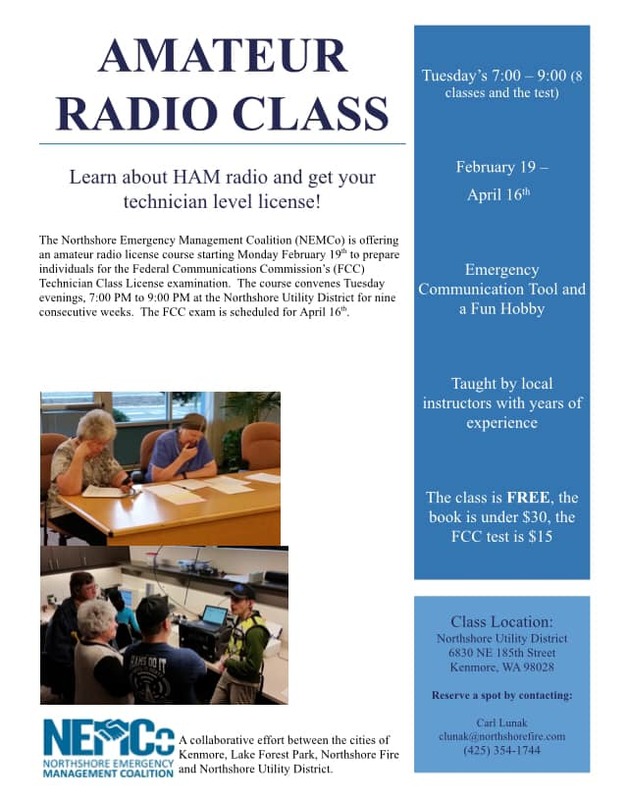 This class is sponsored by NEMCo and will be held at the Northshore Utility District office in Kenmore, 6830 NE 185th St on Tuesday evenings, 7-9pm starting February 19, 2019.